Cone Beam CT Imaging. What’s better than an x-ray of your teeth? An on-screen, movable 3-D representation of your jaws! By taking a series of x-ray slices and stitching the images together with a powerful computer program, Cone Beam CT imaging creates a virtual model of your mouth. It can be used to find disease, plan procedures, and visualize internal structures that formerly wouldn’t have been visible without surgery. Digital Dental Impressions. Remember biting down on a tray of putty-like material, so a model could be made of your teeth? A digital imaging device now makes that unnecessary. Instead, your teeth can be adusted with a fine reflective powder, which is then recorded by a special camera. A series of images is converted into a 3-D model, which can be used to assess a tooth’s condition or fabricate dental restorations. Intra-Oral Camera. A picture is worth plenty, when it comes to helping you understand your dental examination, diagnosis and treatment! With these tiny cameras, you can see what the dentist sees, on a small chair-side monitor. The images of your teeth can be saved as stills or video — or even printed out — so you can see exactly what’s happening in your mouth. Laser Diagnosis and Treatment. They’re inside DVD players and scanner wands — and now, they are making their dental debut. 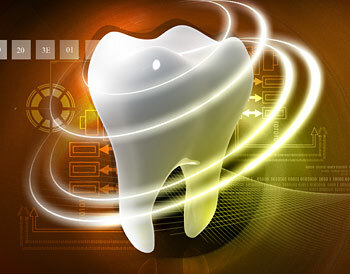 Lasers are being used to detect tiny spots of tooth decay, treat gum disease, and remove cancerous cells in the mouth. They are also employed in gum surgery, even cavity treatments!